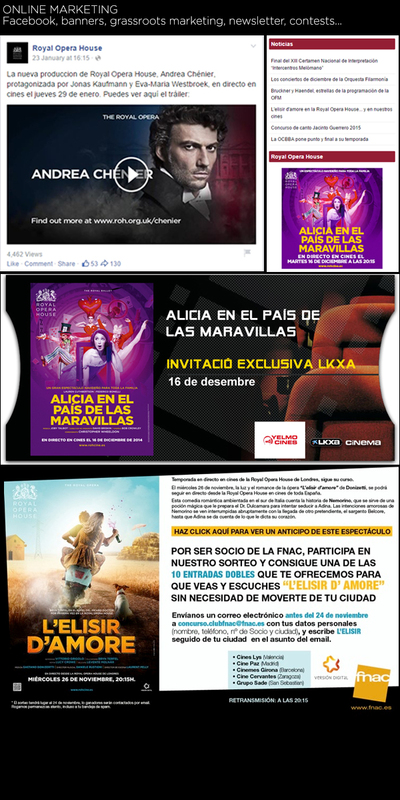 The Film Agency is dealing with the 360º event-cinema promotion and marketing strategy of live cinema operations of the Royal Opera House in Spain. We coordinate the adaptation, translation and delivery of marketing asset to more than 100 exhibitors, strategize and monitor free press, media planning, alternative actions and social media. 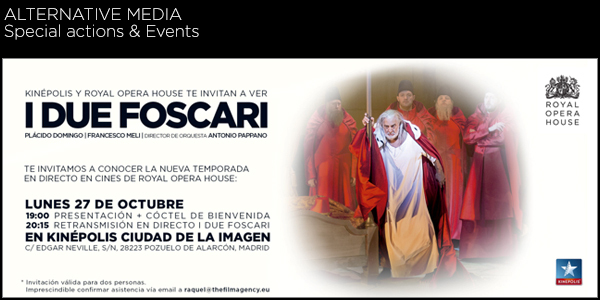 The Royal Opera House is one of the most revered and respected performing arts venues in the world. At their legendary home in London’s Covent Garden, the Royal Opera House produces some of the finest opera and ballet productions with the world’s greatest artists including opera stars Placido Domingo, Renée Fleming, Jonas Kaufmann and Angela Gheorghiu; and ballet sensations Carlos Acosta, Marianela Nuñez, Natalia Osipova, Federico Bonelli and more. Sharing these extraordinary performances with as many people as possible as possible lies at the heart of the Royal Opera House’s ethos and cinema plays a crucial role in bringing this to life. The cinema programme consists of a core live season with additional recorded screenings broadcast internationally.